Foreign Affairs Canada recommends our service and so does the competition! You Are Here:Home/Authentication and Legalization Process/Foreign Affairs Canada recommends our service and so does the competition! It came up recently assisting a client who had contacted us via Facebook that our old press release was being used in the industry, check us out on Facebook. It came as no surprise since we were the first company to specialize and spent many years working hard to have the authentication and legalization industry in Canada recognized. We are humbled and thank you for using our content since it has allowed others to find our services. To bring credit to our Operation Director, who constructed and distributed the press release, we thought we would re-publish it in its original form since some was left out, please enjoy. OTTAWA, Canada – The Department of Foreign Affairs and International Trade Canada (DFAIT), Authentication and Service of Documents Section (JLAC), has announced that if you are outside Ottawa, need quicker service, or need your documents returned via courier to an international destination, you should hire an authentication and legalization service or process server in the Ottawa area to assist you. Friday March 21, 2014 To update you on our above press release article we are amazed at the response since its release 4 days ago it has been viewed 168,768 times and has gone viral on the web by far our most popular article. Thank you for your support we will keep you updated. If you need Authentication for your document at Foreign Affairs Canada we can help. 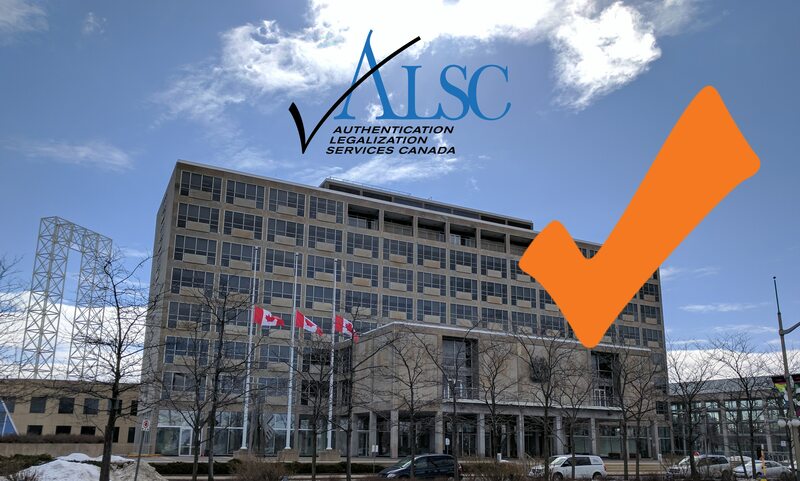 By Authentication Legalization Canada|2018-03-19T16:14:06+00:00March 17th, 2014|Authentication and Legalization Process|Comments Off on Foreign Affairs Canada recommends our service and so does the competition!